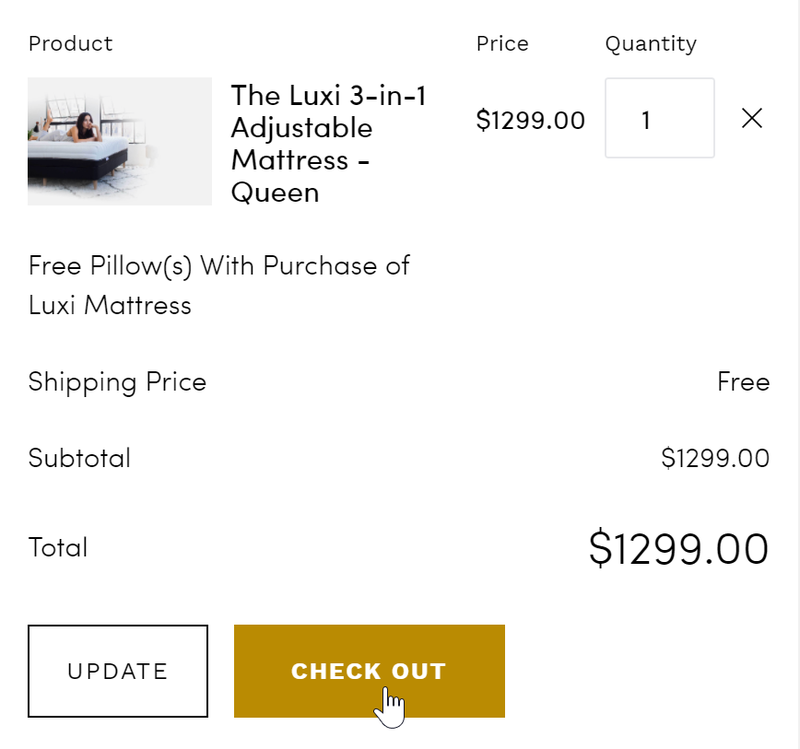 Home » Mattress Coupons & Promo Codes » Luxi Mattress Discount Code: Save $200! 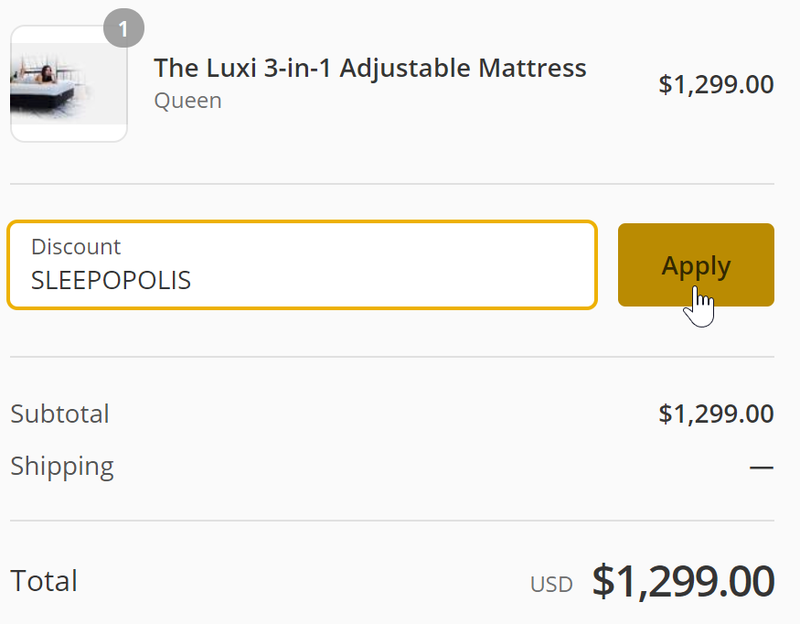 If you’ve checked out my review and are convince the Luxi is for you, then be sure to use the promo code SLEEPOPOLIS when buying your Luxi mattress to save $200. 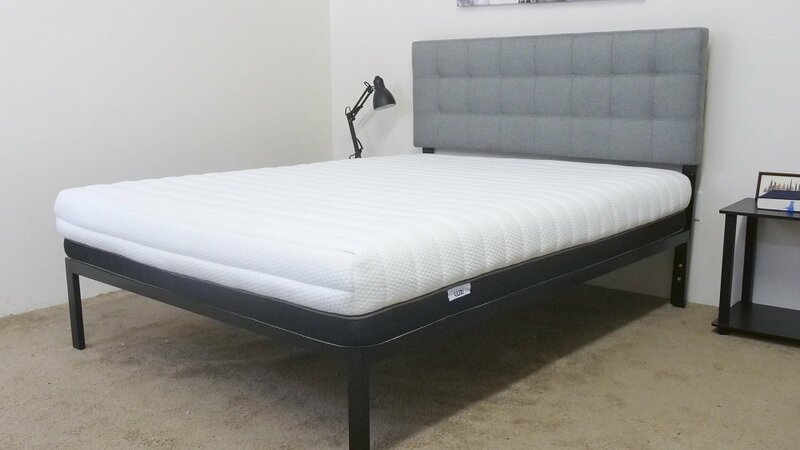 Select the size mattress you would like and click ADD TO CART. 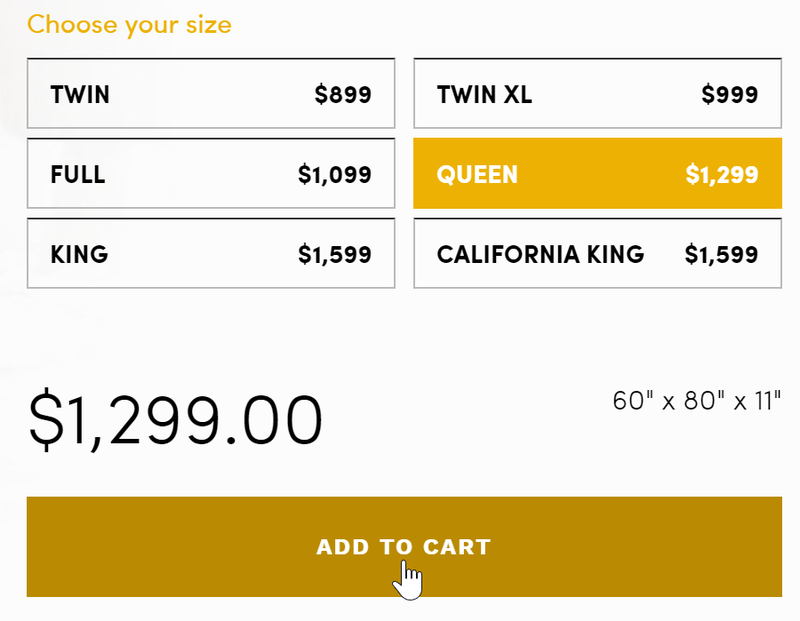 Confirm the correct items are in your cart and click CHECK OUT. 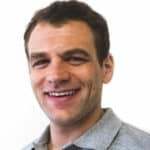 Enter the promo code SLEEPOPOLIS in the Discount section and click Apply. 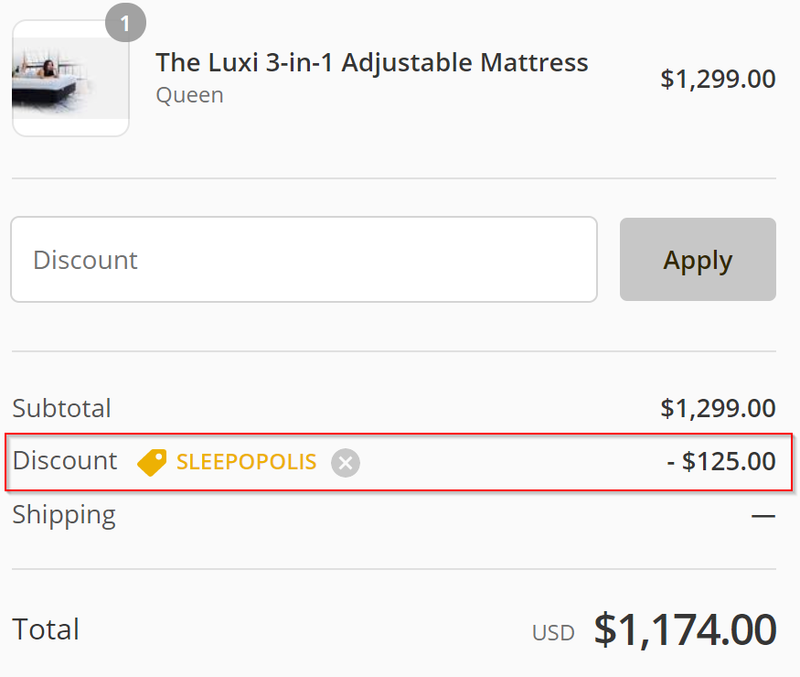 Congratulations, you just saved $200 on your Luxi purchase with the SLEEPOPOLIS coupon! That’s all it takes, enjoy your new mattress!